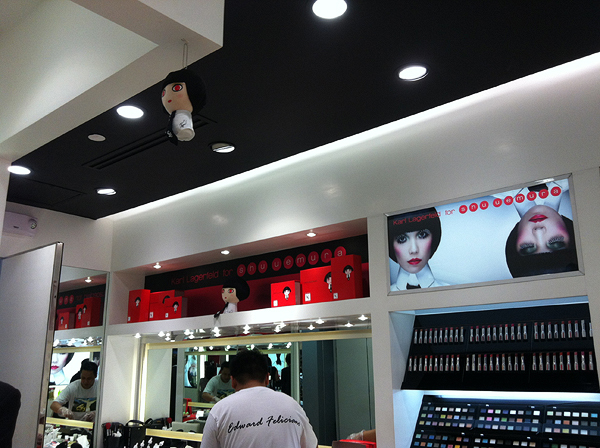 A few days ago, I got a text from the Shu Uemura branch in Trinoma, announcing a pre-launch of their collaboration with Karl Lagerfeld. I had been seriously jonesin’ for these little treasures (!) since Sarie shot the press launch a few weeks back. 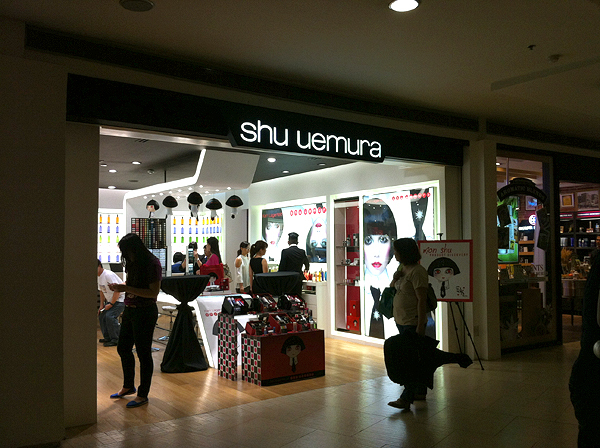 I keep dropping by Shu branches to check, but the collection is slated for local release on the first week of November. 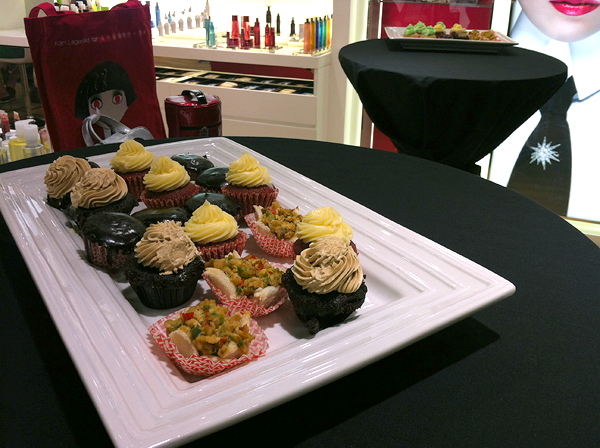 On October 28, though, Shu Fanatics were given a chance to sample and purchase the items in the collection. Naturally, I jumped at the chance! 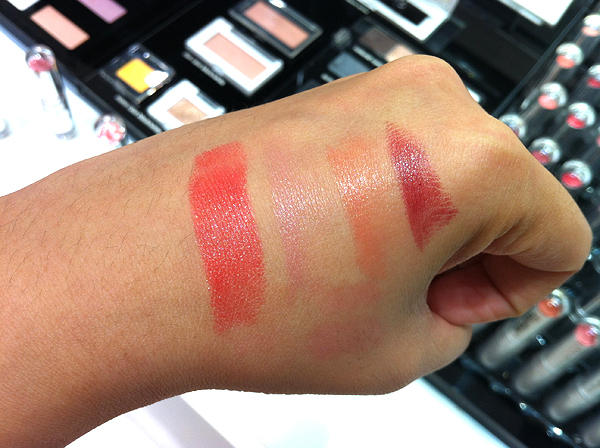 The collection features four Rouge Unlimited Lipsticks, swatched here. 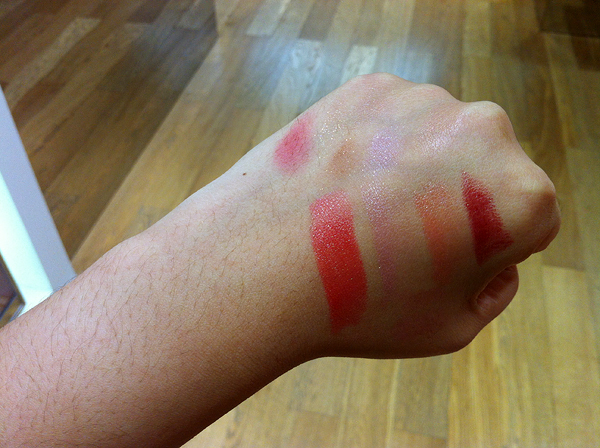 From L-R: Mon Shu Red, Parisienne Pink, Celebrity Beige, and Luxe Burgundy. The shades are wonderful and the formula was smooth, with decent color payoff. My sister and I actually ended up getting three shades. 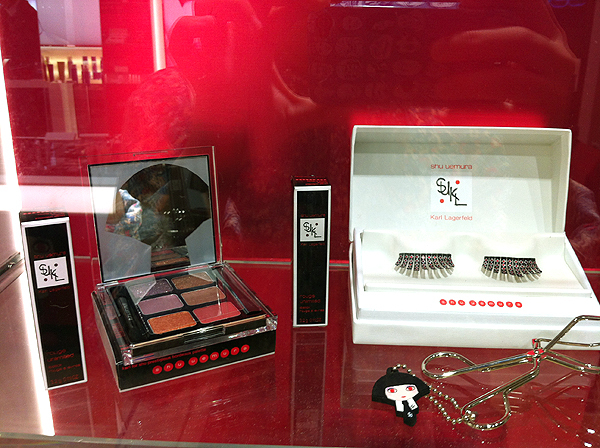 The collection features a special limited edition eyelash curler with a red pad and a Mon Shu Charm (so cute! ), a pretty set of Premium Eyelashes, and two six-shade eyeshadow palettes, Prestigious Bordeaux and Smoky Velvet (pictured below). The SA I talked to said that the pink shades can double as a blush. 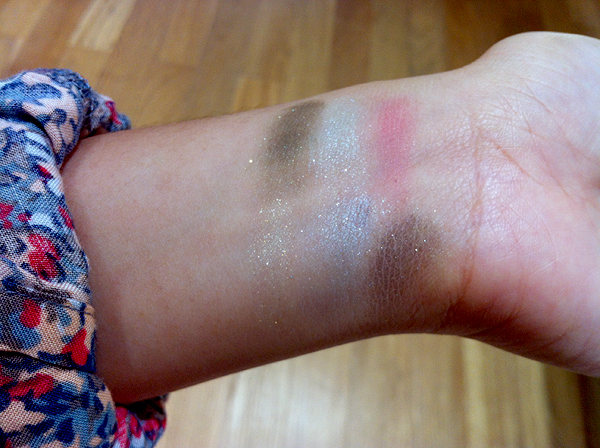 While swatching the Bordeaux palette, I was pleased with the colors, as they were more versatile and complemented my skintone better. When I dipped my finger into the dark green shade of the Smoky Velvet palette, though, I was over the moon. The texture was so soft and velvety, and the color was really, really pretty. 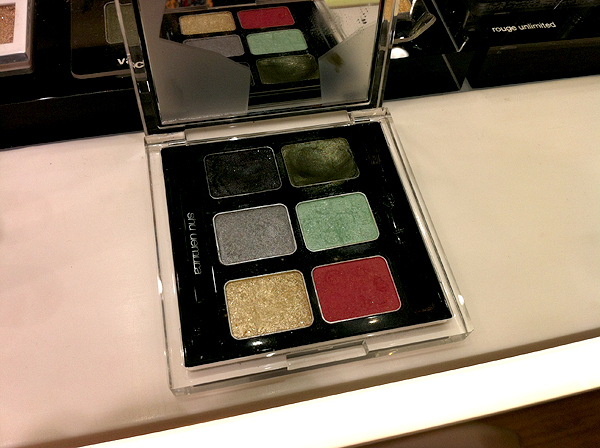 I was attracted to this palette first, but it is admittedly too cool for me. Like I’ve noticed that for Shu collections and collaborations, they dress up their cleansing oils and underbase mousses with the look of the current one. For this, their mainstays and heavyweights are covered with the visage of Mon Shu, who I find adorable. Sadly, no one in my family echoes my adoration. 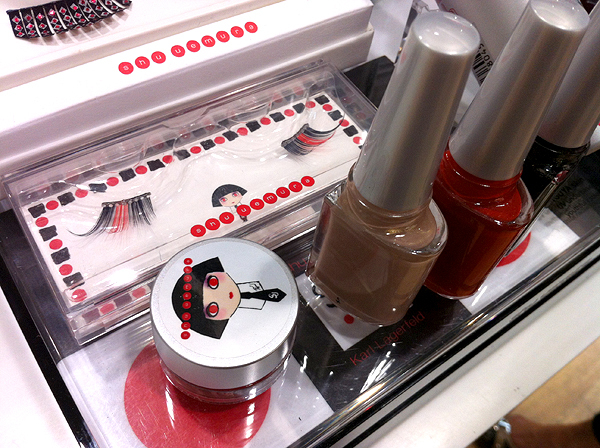 Also part of the collection are these cute mini eyelashes, painting liner (in Blackish Satin Purple), and nail lacquers. I’m not a polish person, so I can’t tell you how the formulation is, but here are the three shades, L-R: Royal Beige, Shu Shu Red, and Karl Black, which seems to have quite a bit of sparkle. 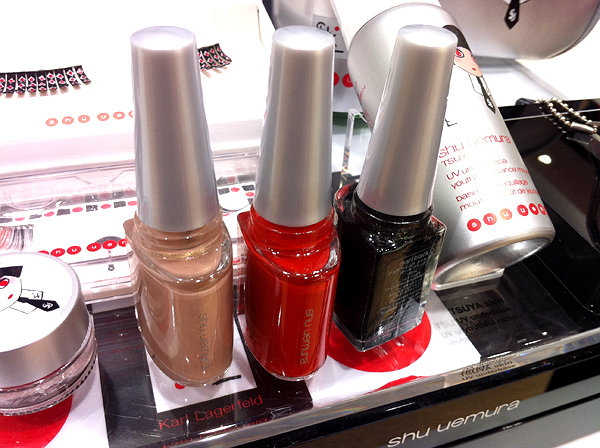 If I wore nail polish, I would probably go for that one. 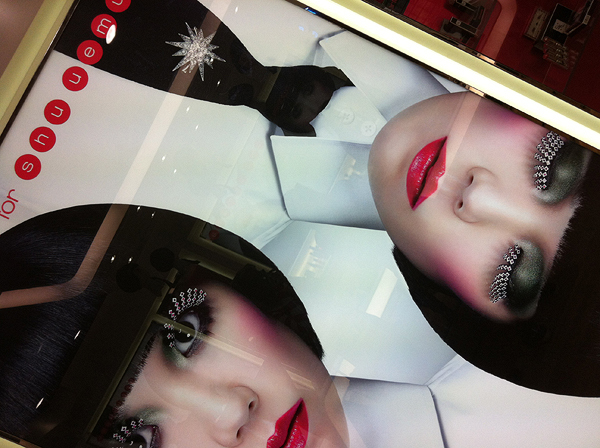 The store looked so cute, with the KL collateral already posted up on the lightboxes. 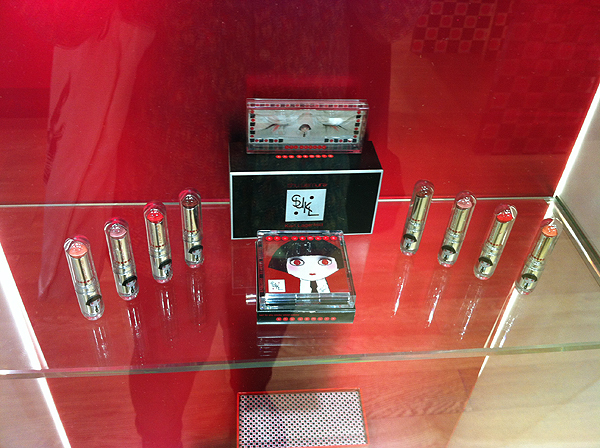 There were also a bunch of Mon Shu dolls hanging all around the store, like super cute garlands. It felt like a Mon Shu Christmas! 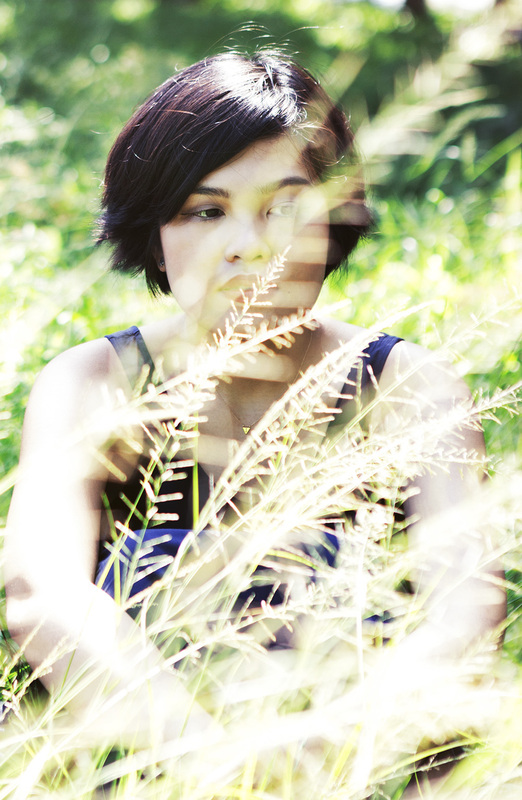 My sister, Isabel, helped me take pictures! It was just a quick visit, so I didn’t get a chance to see the brush set, the nail stickers, and I think, there was a makeup case? We left with quite a sizable haul, though, a red velvet cupcake each. Reviews soon! 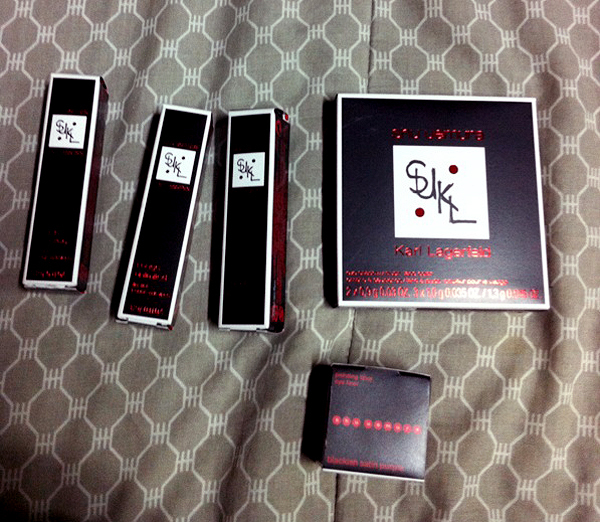 Truthfully, the makeup monster in me (who is growing by the day) is extremely excited. You should be, too! It’s a wonderful collection. I think you can reserve stocks now, but the collection will be released on the first week of November.